Is there a better alternative to Rock GarageBand Loops? Is Rock GarageBand Loops really the best app in Audio category? Will Rock GarageBand Loops work good on macOS 10.13.4? 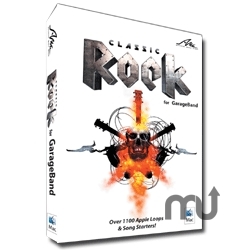 Rock GarageBand Loops contains 14 free rock n' roll beat loops for use with GarageBand. The commercial version takes you on a trip to the heyday of rock. From the thunderous, fat sound of the 70's, through the sharp pop-rock 80's to the aggressive metal of the early 90's. Not only echoing the sounds of the greats from Led Zep to Metallica, this collection also reflects the classic rock flavour of many of today's bands like The Darkness and Jet. Rock GarageBand Loops needs a rating. Be the first to rate this app and get the discussion started!